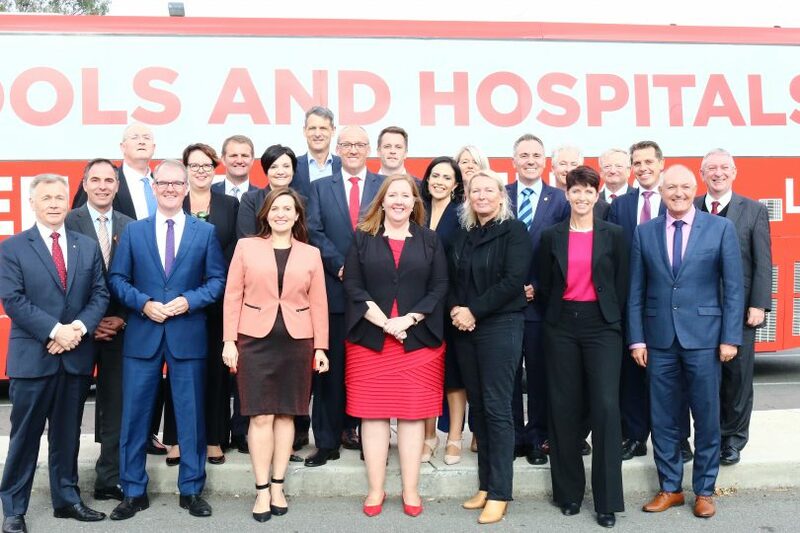 This time last week Labor’s Luke Foley was advocating for nursing ratios at Queanbeyan, Bega, Cooma and Moruya Hospitals, raising concerns about the Far South Coast oyster industry, and pointing to issues with demountable classrooms across the region. His advocacy and different perspective to that of the Berejiklian Government has been wiped out in recent days in circumstances that don’t need to be repeated other than to say his behavior towards ABC journalist Ashleigh Raper has been widely condemned – including by Labor candidates in South East New South Wales. A new NSW Labor Leader is now trying to restore momentum and the alternative voice that is such an important part of our political system. And do it just five months out from an election. Michael Daley was Shadow Minister for Planning and Infrastructure and Deputy Labor Leader before Mr Foley’s resignation, but today faces NSW Parliament as Opposition Leader for the first time. “He had a working life [Australian Customs Service and NRMA lawyer] prior to being elected to parliament. On the very day, Mr Foley resigned, Mr Daley and Ms Atkinson were due to meet with locals in Batemans Bay to discuss the issue further. Mr Daley ended up having to stay in Sydney but Ms Atkinson says her new leader will visit before too long. West of the coastal range in the seat of Monaro, Labor candidate Bryce Wilson is disappointed the discussion around local matters has stalled while the party regroups. “It’s a pretty sad situation, it was entirely appropriate [that Mr Foley resiegns] given the allegations. “But honestly the case of change doesn’t change. “We need to take forward our plan for the Kosciuszko National Park, we need more nurses in Cooma and Queanbeyan hospitals, we need more police on the ground, we need to look at the feasibility of the rail trails, I could go on. 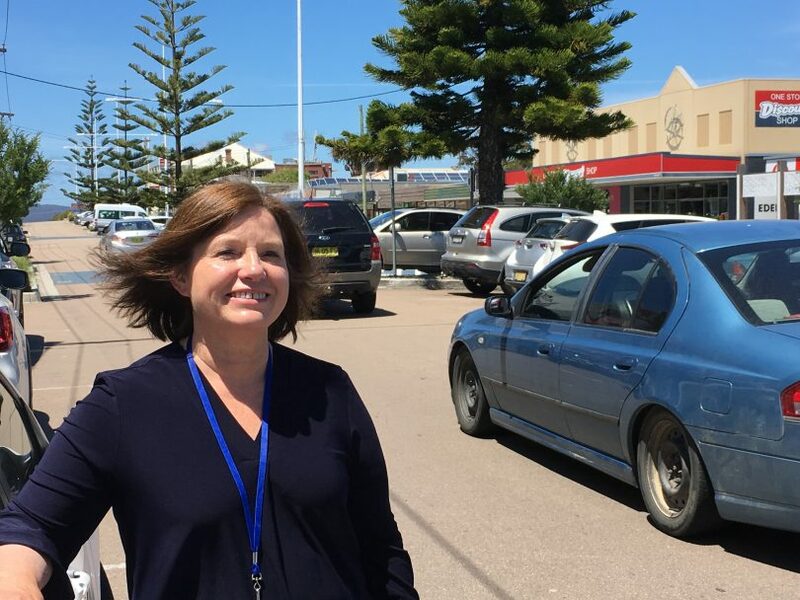 Campaigning at Pambula Markets last weekend Ms Atkinson says the circumstances around Mr Foley’s resignation wasn’t much of a talking point for people. “I really think people here are more focused on what goes on in this community,” Ms Atkinson says. The three-time Labor candidate for Bega says she spent some time considering her comments to the media about Mr Foley’s alleged sexual harassment not wanting to add to Ms Raper’s distress. “My heart goes out to Ashleigh Raper, I was angry and upset that this had happened to her,” Ms Atkinison says. “There is no excuse for that behaviour, there has to be a zero tolerance. “No one deserves to be NSW Premier if they exhibit that sort of behaviour,” she says. Ms Atkinson says the matter should have been handled differently and is critical of NSW Corrections Minister, David Elliott for first raising the matter in parliament the way he did. Mr Elliott has since apologised saying he is deeply sorry for the hurt his comments have caused Ms Raper. “The damage has been done, this should have been raised and dealt with differently, Ms Raper should have been consulted. “If David Elliott had made a private approach to her and said – ‘I want to stand up for you’ then it might have been completely different, but he didn’t. Some of this perhaps has some way to play out yet with State Parliament resuming today (November 13). This most recent scandal has been met with the same tiresome statements from pollies about the need to lift parliamentary standards – Question Time today is the first test of those sentiments. This sitting runs until November 29 and will no doubt be used by both parties to frame their election pitch for early next year. Leaked Labor polling this week suggests that Ms Atkinson is in with a chance come March 19. The Australian newspaper reports that Bega is one of six Coalition seats where Labor is ahead. NSW Transport Minister, Andrew Constance has held the seat since 2003 and faces election day with an 8.2% margin. “I’ve learned after a long time of working for myself and raising a family that you take nothing and nobody for granted and that you work hard every day,” Ms Atkinson says. 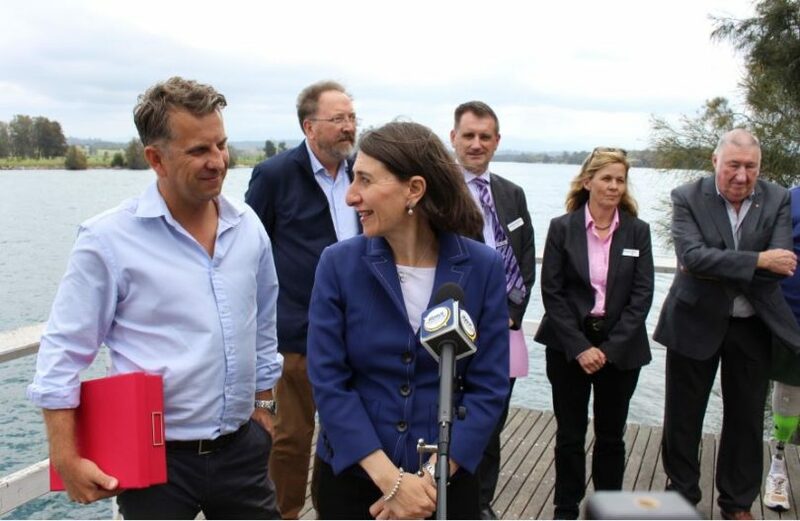 Member for Bega, Andrew Constance and NSW Premier Gladys Berejiklian, at Moruya’s Quarry Park earlier this month announcing $150 million for a new Eurobodalla Hospital. Photo: Ian Campbell. 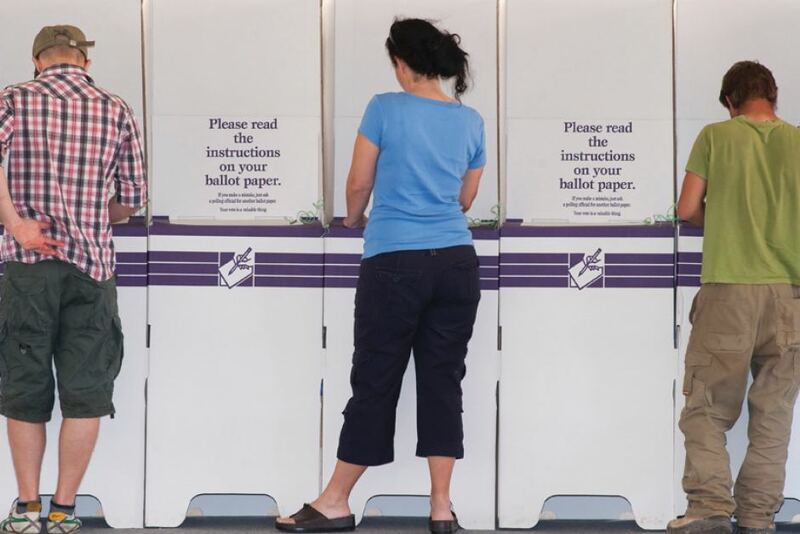 Polling on Monaro where Labor’s Bryce Wilson is trying to unseat Nationals Leader and NSW Deputy Premier John Barilaro wasn’t part of The Australian report. 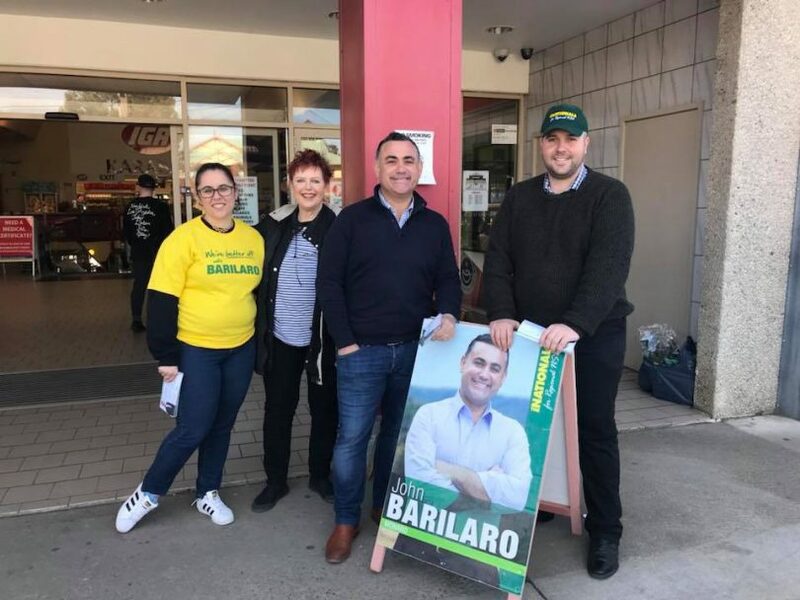 Mr Barilaro holds the seat with a 5% margin, however, has stirred the pot on his own political future today (November 13) in an article for The Daily Telegraph. Mr Barilaro who has held Monaro since 2011 has revealed a ‘cancer scare’ that he says some in his party have tried to take advantage of. In the article, Mr Barilaro says abnormal lumps in his throat were due to be removed this week but that the surgery was canceled because doctors feared nerve damage. “When word got out last week I was dealing with this issue, some of my own colleagues had quickly diagnosed me with cancer (none of them health professionals), and thought it was the right time to speak about a new leader,” Mr Barilaro wrote in The Daily Telegraph. “Word quickly got back to me and maybe I shouldn’t have been surprised, but you realise political friendships can be fickle. “Early on so many told me ‘that’s politics’. Member for Monaro, John Barilaro campaigning with supporters in Jerrabombera in August. Photo: John Barilaro Facebook. The news of this last week and of today add more chapters to a long political year. #PoliticsIsADirtyBusiness is a hashtag 2018 will wear for a long time across state and federal parliaments; the sacking of a Prime Minister by his own colleagues the high/low point. With elections due at both levels of government in 2019 voters have a choice as to whether that should be the norm or the exception. unfortunately...."THAT IS POLITICS" & you need the skin of a Rhino to ward off the negative remarks & the daggers of the back stabbers if you are to survive...….I never voted for John Howard but HE was a survivor. Politics can break your spirit...it IS teamwork....so make sure you have a good trustworthy team...….the Selectors are the People...so they have a big responsibility. ALL politicians should be responsible & held accountable.....on & off the field....it`s a tough game...not for the faint hearted & some decent well meaning people have been crushed. Actions speak louder than words....so keep your eye on them....they are there to represent YOU.